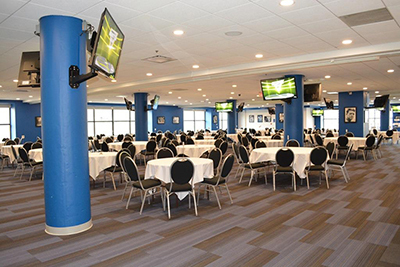 The MedHealth Summit will take place Thursday, April 18 at the Hall of Legends in Ford Field and showcase technology-based solutions to health care challenges. The annual, day-long event attracts health care innovation businesses, health care providers, research institutions, entrepreneurs, economic developers, insurers, and investors from Michigan and Ontario. “The MedHealth Summit supports the acceleration of health care innovation by educating attendees on industry trends, entrepreneurial resources, and commercialization best practices while exposing potential purchasers and investors to new ideas,” says Paul Riser, Jr., leader of MedHealth and director of Detroit Urban Solutions at TechTown Detroit. Attendees will have the opportunity to participate in matchmaking sessions, investor “speed dating” panel discussions, exhibitions, and networking. The summit is a project from MedHealth, a regional health care innovation cluster comprising health care providers, universities, and economic development organizations in southeast Michigan and southwest Ontario. Sponsors include the Michigan Economic Development Corp., Beaumont Health, in2being, and the Wayne State University School of Medicine. It will be presented in partnership with Pure Michigan Business Connect. Additional summit support is provided by TechTown Detroit.